On the 79th lap, with one to go, they were still behind him. 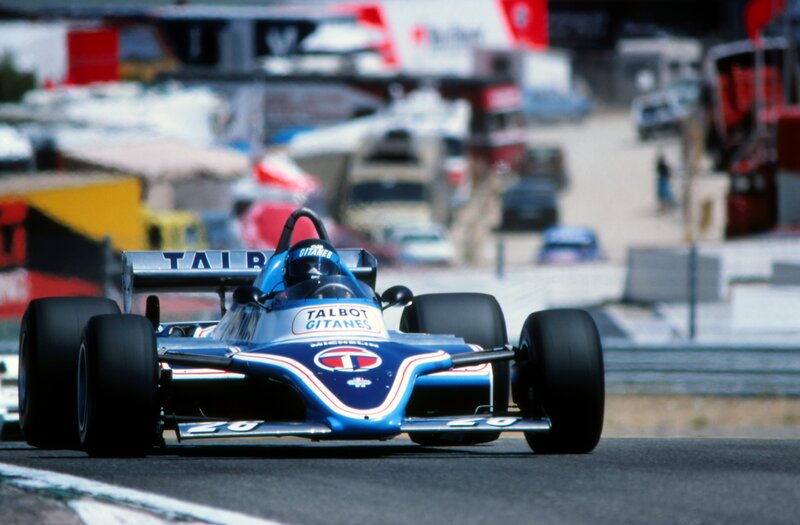 Jacques Laffite came to Jarama fresh from a positive test at Dijon. The team had fitted new skirts and slightly-modified bodywork, and from the start of that test the Ligier-Matra had felt like it had never felt before in 1981: it is a very different car from the Ligier-Cosworth, of course, with different weight distribution, different aerodynamics, different skirts and for sure a different engine but, somehow, it felt at last like a Ligier. The steering was light, the front end full of grip. Jacques had recorded a min 17.5sec lap at Dijon – a time that made him over a second quicker than the Renaults or Ferraris. Seeing that he’d also been on the Jarama pole for the last two years, and that there was a PGA golf course just around the corner from the Barajas hotel, Jarama was thus a race to which Jacques could look forward. It was even sponsored by Talbot, who enjoy a large percentage of the Spanish road car market. He was not disappointed. Even as he completed his first lap of practice he knew he was going to be quick. The car had tremendous grip in all the familiar places – the tight left-hander behind the pits, the fast uphill right-hander and then the plunge down through the esses. On Friday, a day on which he was troubled by traffic and by numerous interruptions (the Spaniards halted practice whenever a car stopped on the circuit!) 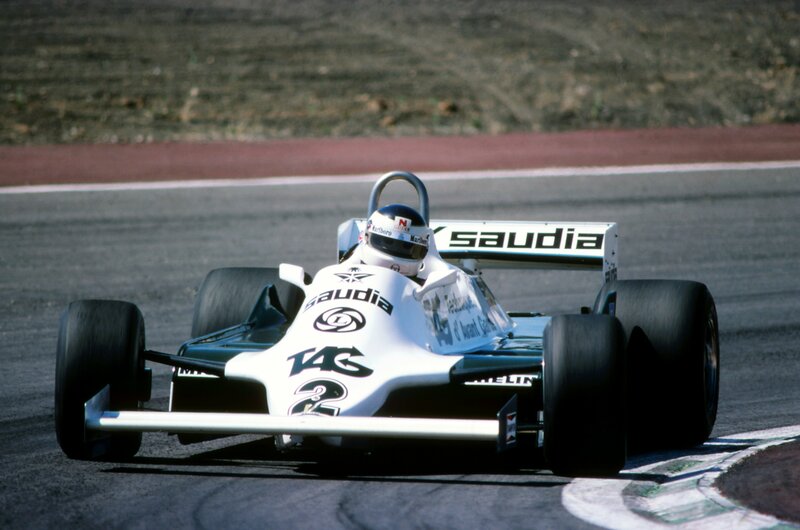 he was third-quickest, fractionally slower than Reutemann and 0.4 sec slower than Jones. “Don’t worry,” he had told his team. “Tomorrow I will be on the pole.” Guy and Gerard had smiled politely at that, for this was the Williams team about which he was talking. Jacques-Henri knew otherwise. He had been out following Jones. He knew he had a better car on both medium and fast corners. Before the race, everyone was asking Jacques about the start. Was he going to win it? This he had not done for the past two years, so maybe it was going to be third time lucky? It wasn’t. On the pole, he knew that the problem was going to be to creep up to the line as slowly as possible. If he reached it quickly, he would have to wait for too long for the rest of the grid to assemble: in the 4 o’clock heat (with a track temperature of 45deg C) that would be playing with fire. So he drove up to the line slowly, braked – and then the lights went green! He floored the throttle, dropped the clutch – but it seemed like ten seconds before it bit. Cars sliced past him on both sides. Then Alain Prost’s engine seemed to die. Right in front of him, the yellow Renault was slowing. Still more cars went by. With his perfect car, his perfect handling, he completed the first lap in 11th place. So he’d have to drive through the field. It was going to be a long, hot race. Jones, amazingly quick over the first ten laps, made a mistake on lap 14. The tight right-hander before the straight (Ascari) was very slippery off-line. Alan locked up the right-front brake – the one that had received a new caliper just before the start. The Williams slid straight on and bogged itself down in the sand. Jones rejoined in 16th place – well behind Jacques. Piquet, whose Brabham had strangely lacked grip and balance all weekend, ran fifth until lap 24, when he made contact with Mario Andretti’s Alfa at the end of the main straight. Twenty-one laps later, Piquet’s race ended when he, too, left the road at Jones’s corner. For his part, Mario looked to be having his best race since Long Beach. He put in two days of really productive testing at Jarama the week before and began practice on Friday knowing that he could comfortably lap in the mid 1min 15s. Except that he couldn’t, for some reason. The car didn’t feel the same; the grip had gone, despite the skirt system being the same. It wasn’t until practice was over, on Saturday night, that Mario discovered the problem: the new skirts were not identical to those he’d run in the test. “His” set had been transferred to Bruno Giacomelli. The rubber strips on the new skirts prepared for Mario had been mounted at a slightly different angle. Armed with the “correct” skirts, Andretti took fourth place at the start, behind Jones, Villeneuve and Reutemann. Prost passed him on lap 14, as a Renault turbo would, but Mario was nonetheless looking good prior to the incident with Piquet. He restarted after that but the edge had gone from the grip. By then, he, too, was behind Laffite. 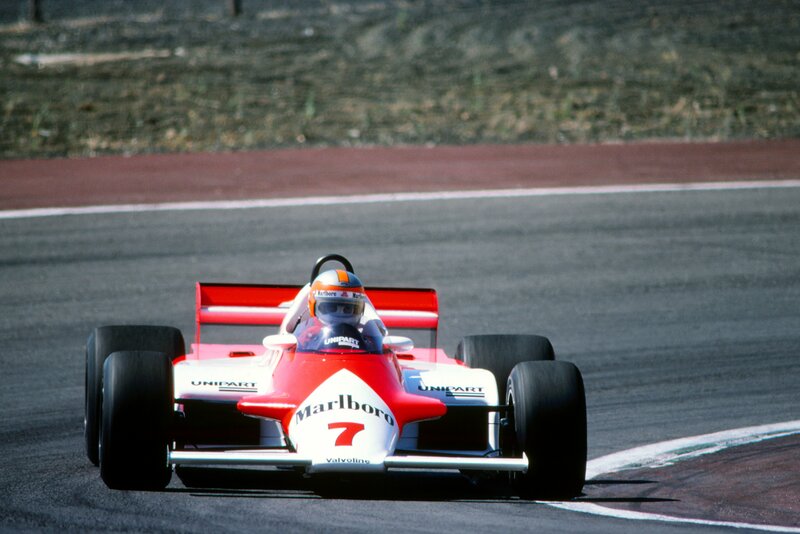 For 32 laps, Laffite stared at the two wide sidepods at the back of John Watson’s McLaren MP4. He had caught John on lap 11 but was unable to pass him for a long time thereafter. 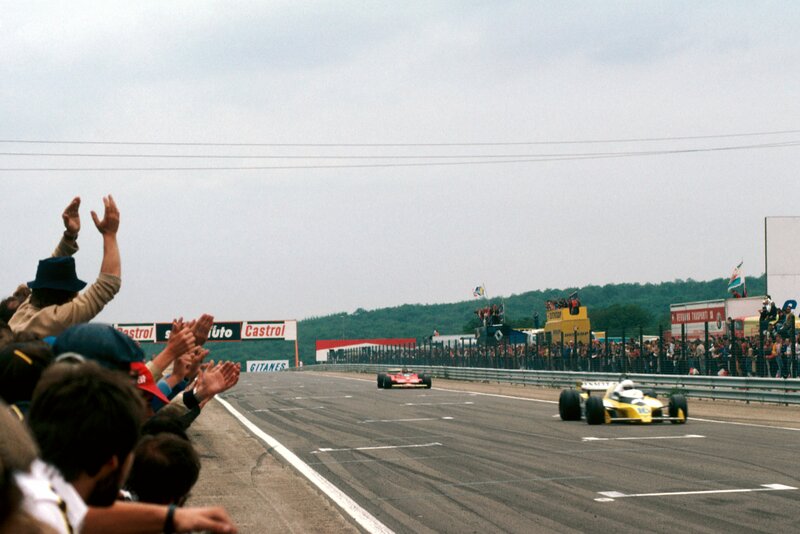 He did so finally, to move into third place – and quickly he closed the gap to the two leaders (Villeneuve and Reutemann). He’d long since switched off his rev-limiter and forgotten his instructions to stay lower than 12,400rpm. At one stage he’d seen 12,800rpm, with the Matra V12 still running perfectly. How to pass Carlos, though? He suspected that Reutemann would be wary after last year’s collision – and he was correct. For lap after lap he saw no gaps. Then, suddenly, on lap 62, he took Carlos by surprise by running around the outside of the first corner. He nursed the car on the marbles- gently, gently – and was just ahead as they left the corner. Jacques never looked back. The right-hand kink was his. And then soo was the hairpin left. 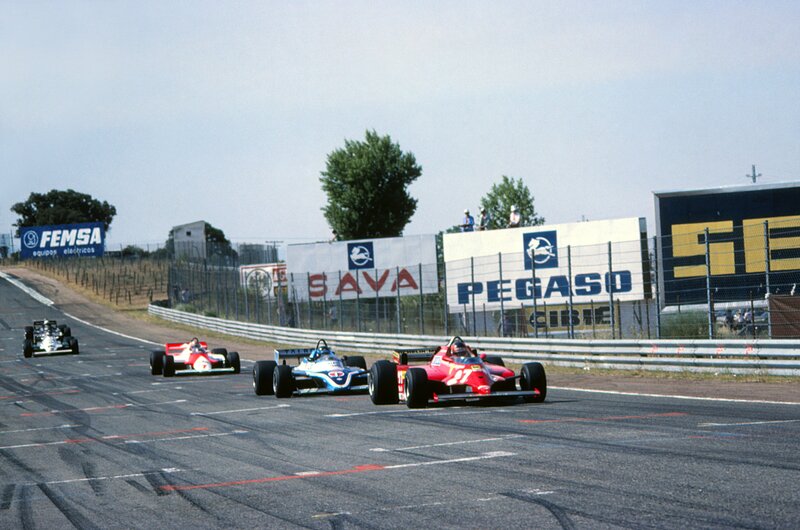 Jacques Laffite was second, right on the tail of Villeneuve’s ever-sliding Ferrari, as he began his 80th lap. The queue at Gatwick told the familiar story: the air traffic controllers were again on strike. John Watson, anticipating Jarama, had never been less aggravated. The McLaren MP4 was improving all the time, and he’d just finished an encouraging test at Brands Hatch. Designer John Barnard had given John a new outlook on testing by telling him what to expect rather than asking him what he had felt. 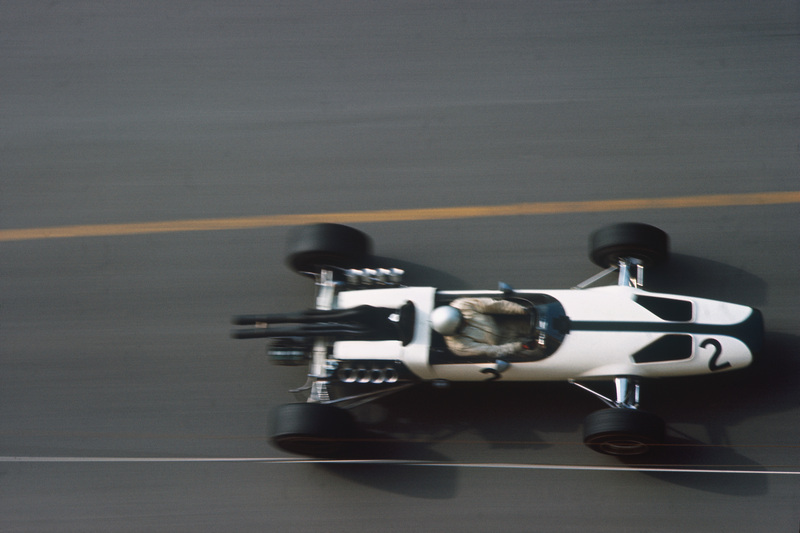 On hard tyres, John had been fractionally quicker than Jones’s Williams; on softer ones he had been slightly slower. It was 8 o’clock on Thursday before John had finally landed in Spain, which meant that he and the other drivers on that flight – Alan Jones and Chico Serra – would have no time to adjust to the Spanish heat-wave. Nor did this worry John. He liked the heat more than most. He would be as fit on the 80th lap as was on the first. Sunday morning warm-up suggested otherwise. The car felt terrible for no plausible reason. Nothing had been changed, yet the grip had disappeared on both fast corners and slow. Was it the slightly hazier weather? Was it the track? Struggling, the McLaren men decided to change rear springs. In the race, which Watson began in sixth place, the car felt no better. Understeer on the hairpins, oversteer on the fast corners. It was a long race, though – 1hr 46min – and anything could happen. Piquet got him on lap eight. Then there was the long battle with Laffite, one that eventually led to them (with the retirement of Piquet and the Jones-like spin of Prost) lying third and fourth with the end in sight. Jacques finally got him with what was obviously a bit of brotherly love – Jean-Pierre Jabouille, a lap behind, slowed John just enough for Jacques to slip past – but, even as Jacques then caught the leaders, then so, too, did John. The Ligier was superior to the MP4 in a couple of places, and John was missing a few gear changes because the accelerator was sticking a little. 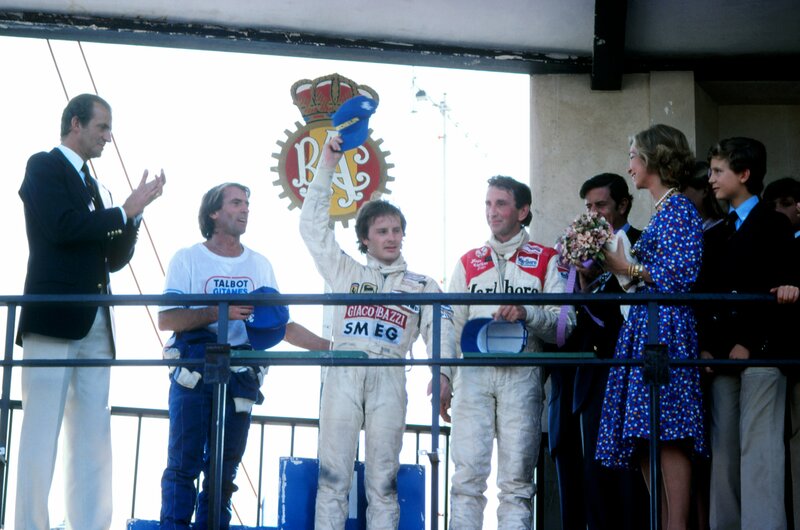 Even so, Villeneuve and Reutemann drew nearer. Villeneuve’s lap times were climbing almost exponentially. By lap 61 Watson was upon them. By the 80th lap he was still third, right on the tail of Villeneuve and Laffite. Carlos started the race third, his car fitted with different springs to those chosen by Jones. He made a clean start but almost immediately it was obvious that Jones was in a different race. Carlos could maybe stay with him he drove absolutely at ten-tenths but with the weather so hot and the race so long what was the point? The Williams were eventually going to go to understeer, so his plan was to prolong that transition. He wasn’t even particularly upset when Villeneuve pulled up alongside him on sheer power and got him before the end of the straight. In time, he’d be able to wear the turbocar down. For Reutemann, though, it all went wrong on lap five, when, just as it had in the warm-up, third gear began to fail. Twice on that lap it jumped out – plus it was becoming difficult to select. Ahead of him was a new race: concentrate on the gearbox but at the same time push Villeneuve into a mistake. For 60 laps Reutemann did just that. The Williams never left the mirrors of Villeneuve’s Ferrari. Carlos peeled away his strip-off visor. Quickly, the main visor became streaked with oil. In front, Villeneuve made no mistakes. None. In turbulence, and with the gearbox problem, Carlos was expending maximum effort. Sooner or later, a voice said, it would pay off. It grew worse, for the gearbox issue left him with much less margin, particularly in traffic. When lapping backmarkers he had to choose his gap in advance and pray that the slower car would do as he anticipated. The leading Ferrari, moreover, was doing what the Renaults did Carlos a million times in 1980 – holding him up everywhere except on the straights. On his own, he knew that he could lap maybe a full second quicker. Stuck behind Villeneuve he was now being caught by the cars he should have been easily beating. Laffite was behind him and then alongside him almost at the same moment. Carlos was braking early at the end of the straight because he couldn’t risk a messed-up gearbox and Laffite, on the outside, took full advantage. And then Salazar ran wide out of the last corner when he should have stayed on the inside. Watson was past. Maybe it wasn’t Salazar’s fault; it wouldn’t have been an issue if his gearbox had been normal. As if to emphasize the point, Jones’s recovery from the spin had also been slowed by a gearbox problem. He began to lose second gear – and, with that, any chance of finishing higher than seventh. 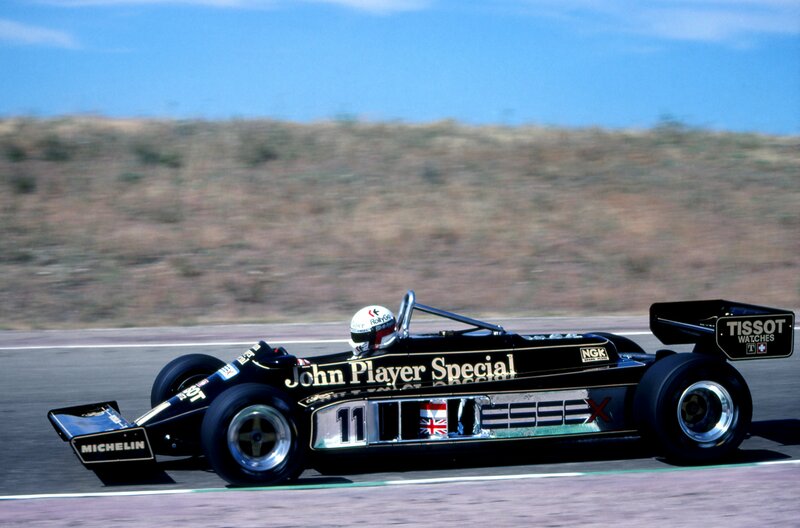 John Player Team Lotus, all black and gold and immaculate like never before, did not seem as competitive as they had at Monaco. Elio De Angelis had a Saturday morning incident and the front and rear wings for Nigel Mansell’s car were late in arriving. 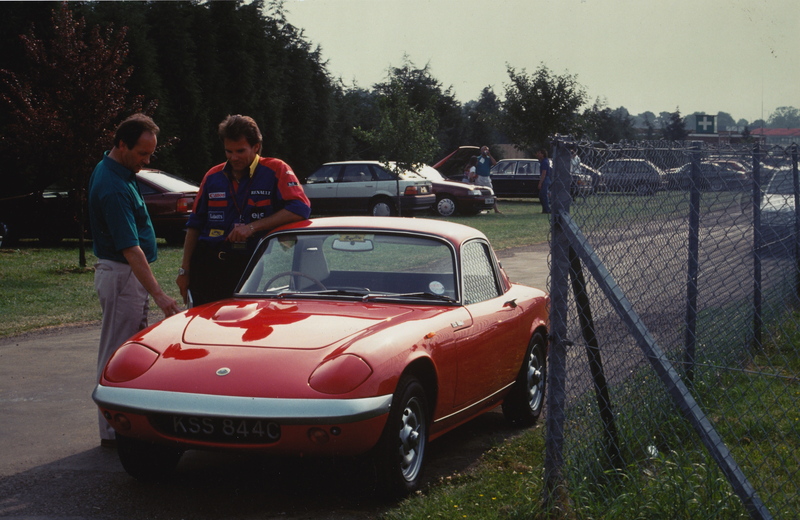 None of this, though, disguised the Lotus 87’s lack of overall grip. Elio and Nigel lined up 10th and 11th, looking for more downforce on the fast corners and a better turn-in for the slow ones. The cars were agile and on the weight limit but at Jarama, a chassis circuit, much more than that was needed. Or was it? Driving cleanly and with aggression, both Lotus men emerged from the pack. Elio was 12th on lap one – right in the middle – but soon he was pressing them – first Giacomelli’s Alfa, then Didier Pironi’s Ferrari, which had collided with Riccardo Patrese’s Arrows and was soon to spin with the throttle stuck open. By half-distance, only Piquet separated Elio from the third-place duo of Watson-Laffite. When Piquet spun, Elio was fifth. Could he catch them? Villeneuve’s race pace enabled him to do just that. 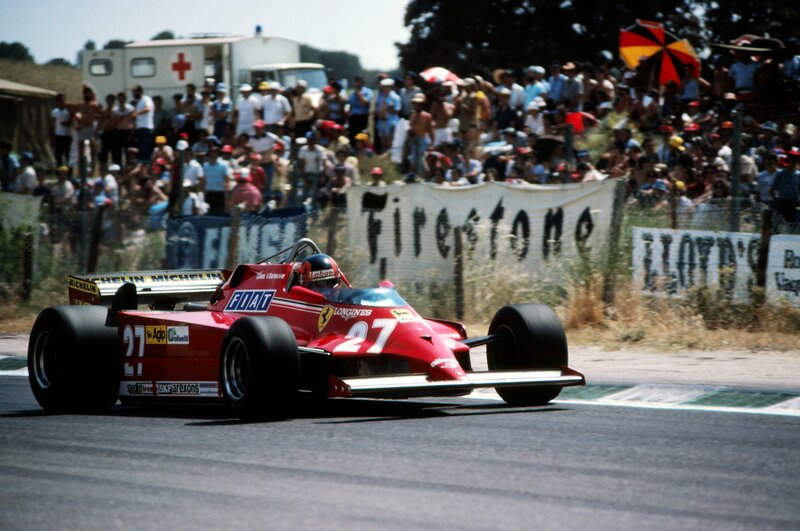 Gilles was leaving margin enough on the corners to keep it all together – driving around a second a lap slower than Elio. On his own, with the leaders in sight, Elio lapped in the high 1min 18s. Behind them, now the fifth member of a five-car train, he slowed to the 1min 20s. So they began their last lap, the leading five, and everyone strained their necks. Would Watson put a move on Laffite? 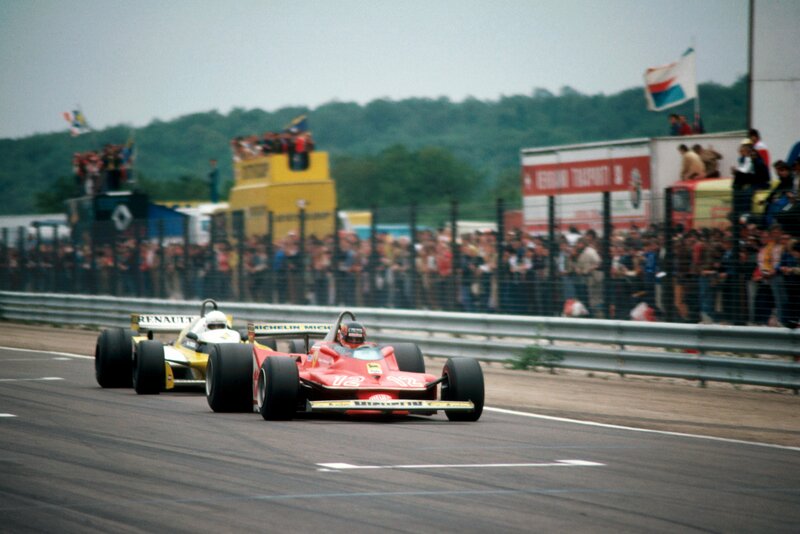 Would Jacques pass the Ferrari, just as he had in Austria, 1979? The 126CK held its customary margin at the end of the main straight. Not even Laffite, braking as late as any human being can brake at Jarama, could make up the turbo-generated deficit. Gilles accelerated cleanly out of the first corner, backed off (again!) for the kink and dived for the inside for the hairpin left. For Laffite, the gate was shut. The others darted around, gaining and then dropping back, but only by inches. Red, blue, red-and-white, green-and-white, black-and-gold. Ferrari-Talbot-McLaren-Williams-Lotus. Up the hill, then down it, accelerating through the gears – and then up into the hairpin at the top. 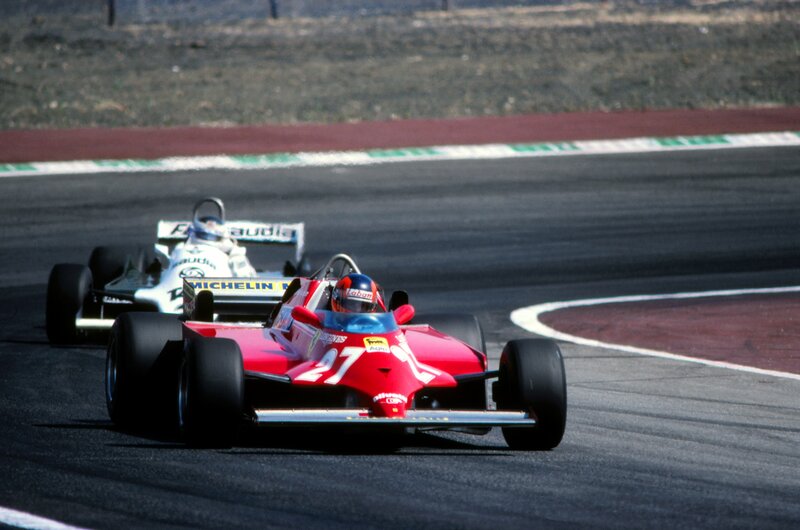 The Ferrari weaved around as Gilles squeezed the brakes, then flicked into the apex as the front tyres found grip. Only one serious corner remained – the right-hander that had claimed Alan Jones. Gilles played safe, braked early and stayed absolutely in the groove. The marbles persuaded the others to do likewise. They were still a train, held on rails by the narrow line with grip. And at this point Gilles knew that he had it. It was a walk onto the 18th with four putts to win; Jacques Laffite knew that. Gilles by now had switched off the rev-limiter and was running through the gears, looking only for that man with the flag. Laffite was a valiant second and Watson, at last on the podium, an excellent third. Reutemann was dejected with fourth place, just as Elio De Angelis, the last in the queue, found it difficult to believe he was only fifth, 1.2 sec behind the winner. The last lap had been won by Villeneuve, Ferrari and Jarama; it had been the best race since the days of the Monza slipstreamers, since the days before any of these five had even dreamt of Formula One. Great read Peter. My favorite part was ; “It’s quite funny,” he said afterwards. “On the quick corners you can see the track marshals running for cover…” wow,. haha. I was around at the time, time blurs the details, so thanks for refreshing the full story. It was an extraordinary performance. 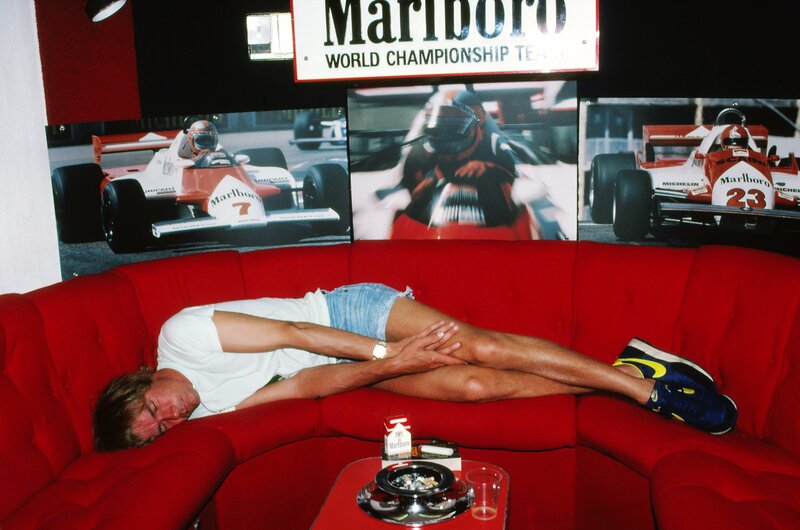 Modern BBC pundits probably don’t prepare for their stints in the same way James Hunt did! Just shows you things used to be a bit more relaxed back then without social media and all the craziness. Yes – different times, although James in my view remains the best English-language commentator ever to grace the F1 TV world feed. For one thing, he was never anything more than James Hunt – and James was not only extremely knowledgable; he was also articulate and wise. Racing at it’s best! Thanks for sharing Peter…. Interesting. Must search YouTube to see if I can find some of the old clips with JH commentating. I was, let’s say, at a very tender age in the 1980s, so I didn’t catch any of that live. You know, I actually remember seeing that race live on TV. Races at Jarama were usually quite a prossession, if memory serves… Contrary to popular belief, overtaking on 70’s and 80’s races wasn’t that easy. Anyway, thank you so much for bringing back such a nice memory. Gilles really was something else. Hello Mr Windsor,I have just “discovered” your blog and let me tell you is EXCELLENT. Reading about this race and watching Reutemann’s pictures brought me memories from the great f1 times. On that race he was cheated by Jones and Head,they did not disclosure the full data of the new side pods/skirts . By the way,when will you write about what REALLY happened that year with him? Was he really sabotaged by Williams? was not giving him the promised engine for Germany the ultimate blow to his morale? I know you were close to him and would love to read your point of view of it 30 years after.